Coconut water is one of the most hydrating and nutritious liquids you could ever consume. It is full of a variety of crucial minerals, including more potassium than even a banana has. Coconut water is enjoyed all around the world, but primarily, it is enjoyed in tropical environments where dehydration on a severe level is a risk. This is because all of the minerals present themselves as electrolytes that allow the body to easily absorb them, making it a better choice than simple water or juice. 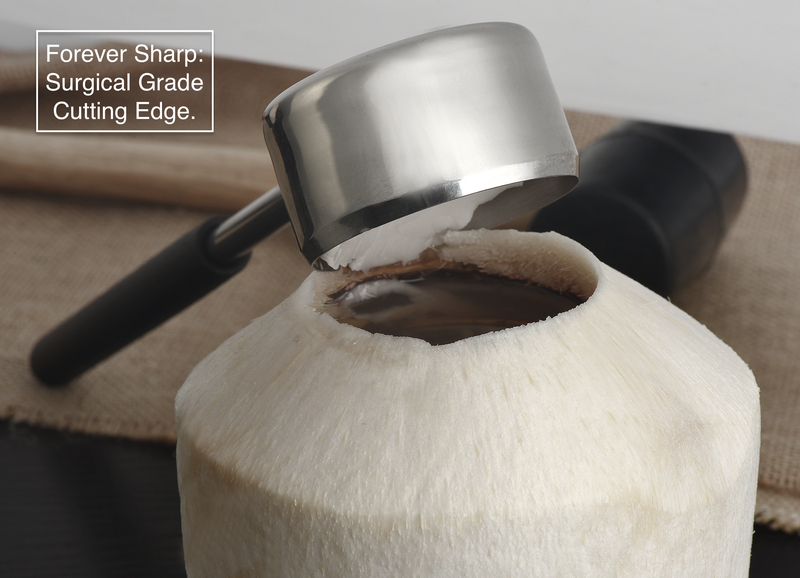 With this Silva Coconut Opener with Hammer Set, you can crack open a fresh, young coconut to drink its water right from the source instead of drinking old coconut water in a bottle from the supermarket. 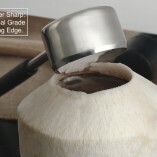 The Silva Coconut Opener with Hammer Set comes with both tools that you will need to begin enjoying the coconut water. 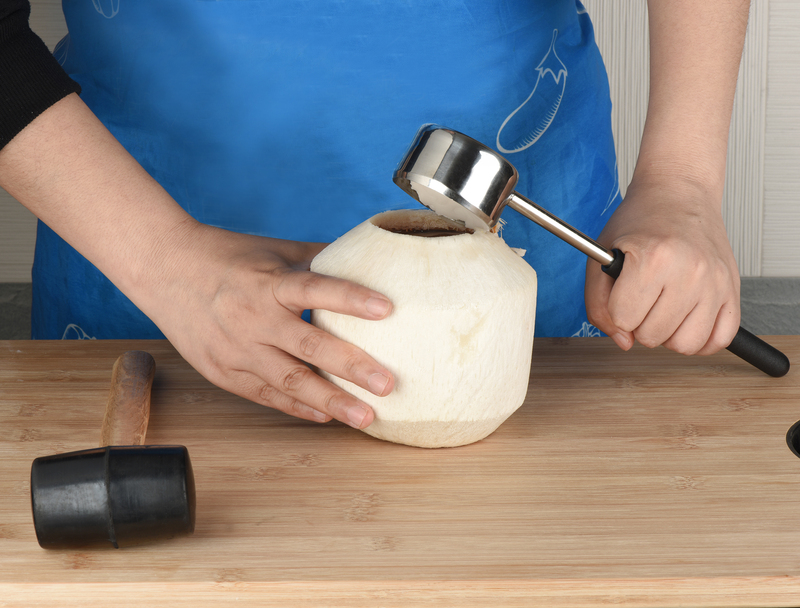 It features a tool that will let you punch a hole into the coconut and a hammer that will drive that tool into the coconut itself. 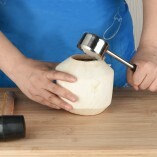 The coconut opener tool presses against the coconut, while you use the coconut opener hammer to gently drive the tool through its shell. Once the hole has been created, you can slip a straw into the coconut to enjoy the water inside. 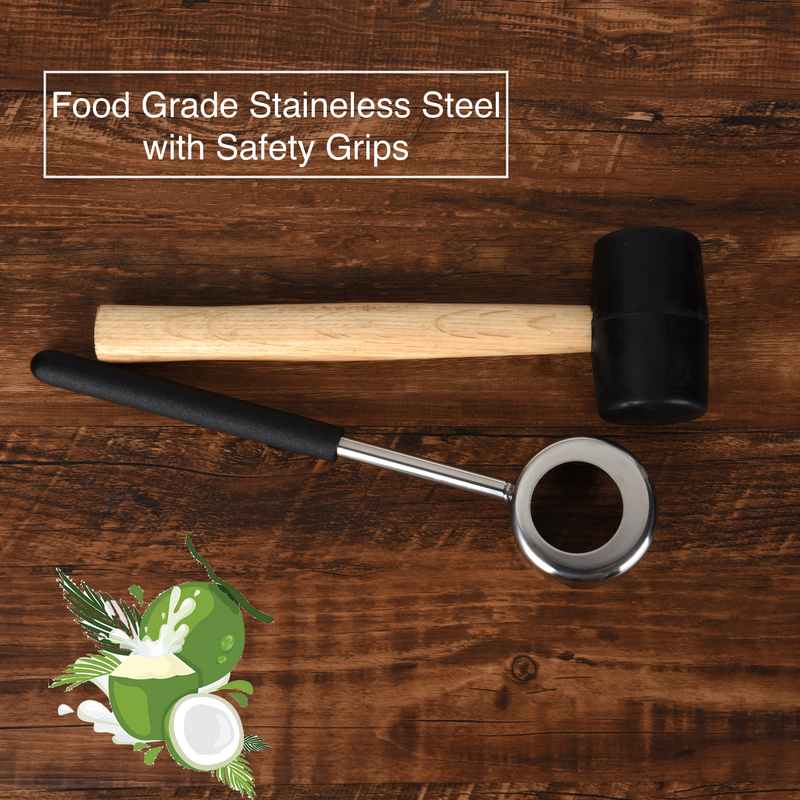 The Silva Coconut Opener with Hammer Set is a young coconut opener that is made from the highest quality, most durable materials. This ensures that it can be used for many years to come. Its size makes it ideal for storing in any drawer with your other utensils. This coconut opener tool set is designed to be comfortable in the hand and safe to use. 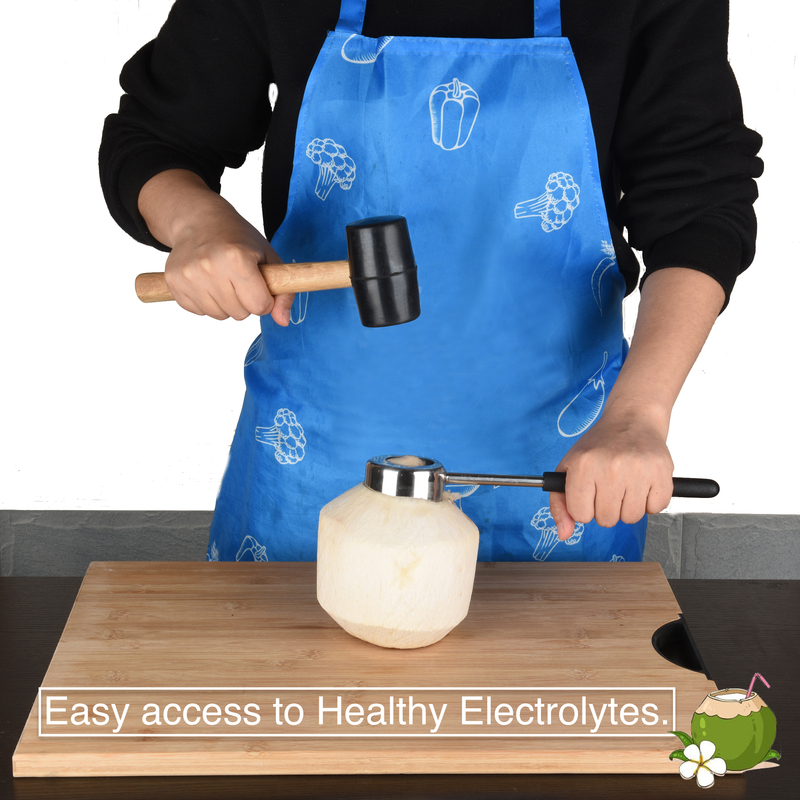 Order the Silva Coconut Opener with Hammer Set now to start reaping the benefits of young coconut water. TAKE ADVANTAGE OF FRESH COCONUT WATER With a coconut opener set, you can crack into tough, young coconuts to give you the delicious, hydrating and nutritious coconut water inside . 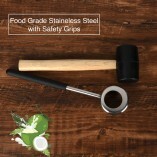 ULTRA HIGH QUALITY Made from strong, heavy duty food grade stainless, this coconut opener tool set will last for many years to come. SIMPLE FUNCTIONALITY Simply hit the coconut opener hammer against the tool to form a hole for the straw and slip a straw inside to enjoy. SAFE FOR USE This young coconut opener makes cracking through the shell a safe and easy process by requiring only gentle effort on your part. Best young coconut opener. EASY TO STORE Due to its intuitive size, this coconut opener tool set can be stored away with ease with the rest of your utensils. Now thats a cool product. ill add that its ideal for young thai coconuts. not the hard nut matured kind. high quality stainless steel and highly durable. impressive Silva product. Durable, easy to use, coco milk is excellente. i like the safety grips also. awesome touch.